Angela K. Wilson, John A. Hannah Distinguished Professor of Chemistry, is a globally prominent scholar in the fields of theoretical and computational chemistry. Wilson received her PhD in chemical physics from the University of Minnesota. 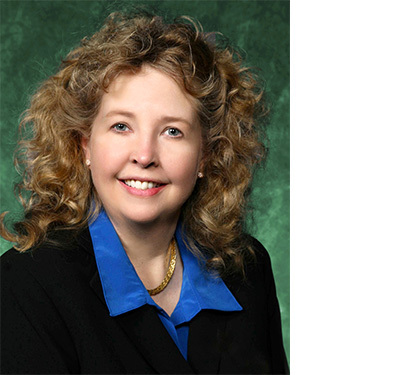 Prior to joining MSU in 2016, she was the Regent’s Professor of Chemistry, director of the Center for Advanced Scientific Computing and Modeling, and associate vice provost for faculty at the University of North Texas. Wilson served as the division director (head) of the National Science Foundation’s Division of Chemistry from 2016-2018. Wilson’s many awards and honors include being named a fellow of the American Chemical Society, the American Physical Society, and the American Association for the Advancement of Science, a national associate of the National Academies, and the 2015 recipient of the Francis Garvan-John M. Olin Medal from the American Chemical Society, the nation’s top award in chemistry designated for women chemists. In 2018, she was inducted in the Michigan Women's Hall of Fame. She serves as an editor of Computational and Theoretical Chemistry, past-president of the Division of Physical and Biophysical Chemistry of the International Union of Pure and Chemistry Division of Pure and Applied Chemistry (IUPAC), and chair-elect of the chemistry section of the American Association for the Advancement of Science.